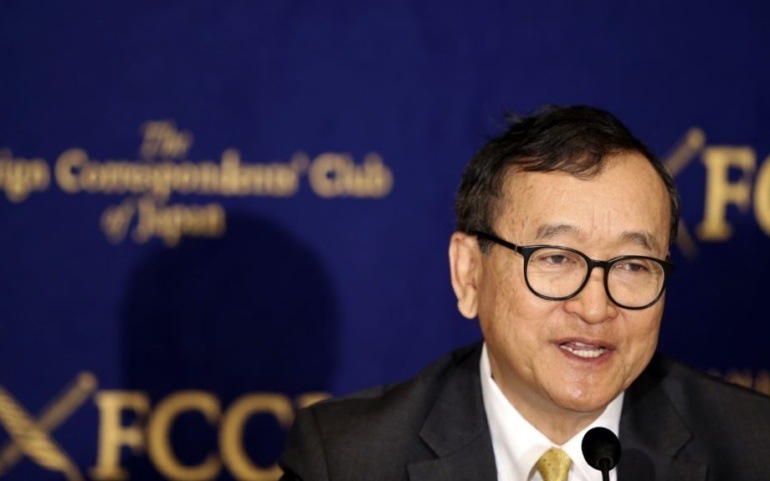 Immigration officials have been ordered to arrest Sam Rainsy, the former leader of the Cambodia National Rescue Party (CNRP), if he follows through on pledges to return to the country. Rainsy faces charges of treason linked to questionable allegations that he and the CNRP’s president, Kem Sokha, conspired with the United States to overthrow Prime Minister Hun Sen. Sokha was jailed in September 2017 on the same charge. In a letter to officials last week, Kirth Chantharith, the immigration department director, ordered officials to secure international border checkpoints in the event that Rainsy attempted to enter the country unannounced. In a video posted to his Facebook page, he told supporters in the United States that this year presented a “golden opportunity” for an opposition revival. The CNRP was dissolved by the Supreme Court two months after Sokha’s arrest in 2017. The EU, Cambodia’s biggest export market, is considering removing preferential trade rules on Cambodia over the ruling Cambodian People’s Party’s poor record on human rights and democracy.